Do you have a badly constructed conservatory or one with which you are facing a number of issues? Is it too hot in summer or very cold in winter? Is the design not something that you had previously envisioned? A reasonable alternative to a home extension is a conservatory. 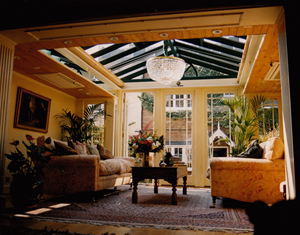 Conservatories are the best options if you are facing a space constraint. These are considerably lighter on your pockets too. A conservatory provides you with an additional space in your home which you can enjoy all year round. Although the costs involved are lesser as compared to a full extension, conservatories are still a substantial investment and need to be given a good thought to before choosing your option. There are quite a few things that you need to think about before choosing your option as conservatories these days make an integral part of your home and should complement your home. Conservatories are exposed to the elements and all the environmental damage due to such exposure. Over the years dirt builds up on interior and exterior making your conservatory appear old and worn. Professional conservatory cleaning can help keep your conservatory in good condition no matter what the weather. 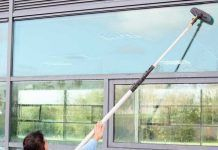 Regular conservatory cleaning adds years to the life of your conservatory and reduces maintenance costs by avoiding the general wear and tear that is obvious with years of use. It is important to take care of the general maintenance of your conservatories on a regular basis, periodic professional maintenance is a must for a thorough cleanup. Maintaining your Conservatory up to the mark is no easy task. Often you need to take care of minor repairs here and there apart from regular cleaning and maintenance. A conservatory provides you with a special place in your home. While it is a place for you to relax it is also a major change to the look of your home and a substantial investment too. Hence choosing a conservatory should be a well thought of decision and there are quite a few things that you should keep in mind before making your final decision. There are quite a few things that you should keep in mind when it comes to selecting your conservatory. One important element is the choice of doors which vary depending on the styles, materials used etc. 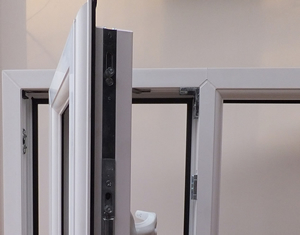 Fitting in the wrong type of door for your conservatory will simply be a pain in the long run. There are factors such as space available for the door to open inward or outward without any hindrance, the type of door that will best suite the look of your conservatory, materials (timber, aluminium or uPVC) to be used depending on the weather where you stay or what matches your conservatory. 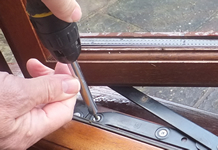 Basic repairs and regular maintenance can go a long way to ensuring longevity of your conservatory. It is always better to avert problems in the first place than later address them. Conservatories can come with their own set of problems like damaged woodwork or metalwork, damages to the UPVC, aluminium or wood framework, water leakage problems, broken hinges, door locks etc. Although these are not grave problems these need to be addressed promptly so that there are no serious issues later on. Orangeries are more of a solid extension to the homes as compared to a conservatory. Typically with a lantern roof. These are best suited for structures that need light but not too much glass and make more of an extension rather than a glass conservatory. These often look elegant and add better value to the property. A conservatory or orangery is a very charming inclusion in the home decor. It gives you added space in the home that can be converted into virtually any room as required. Your conservatory is your own special place and hence needs to be taken special care of. You cannot just hand over the cleaning and maintenance job to any company without a little background check. Here are our few tips to help you choose the right company for the job so that they take care of your conservatory like their own. A onservatory needs regular cleaning and maintenance to make sure that it remains in the best of its form. While everything looks bright and sparkly in the beginning, continuous use and exposure to the elements can make it appear to be dull and jaded. Regular Internal cleaning at home is a simple task but to make sure that the glass and the roof remain clean you need professional help once in a while and if something needs repairing then you certainly need help whether you live in Petworth, West Sussex or elsewhere. In a nutshell .... you can't! With everything getting done at a click of a button these days, you may think it natural to also buy a conservatory online. However this is not the case as although you can get in an depth analysis of your conservatories online you still need the help of an expert. The process of installing a conservatory / orangery starts with first considering what the purpose of your extra room is. It can be used for a variety of uses from your kitchen, living room to a space simply as dining and for entertaining your guests. 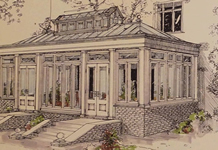 A conservatory / orangery is not about just selecting a particular style. A lot of time, skill and effort goes into getting a conservatory /orangery / extension etc installed and then designing it well to make sure that the space is just right and fits the purpose very well. 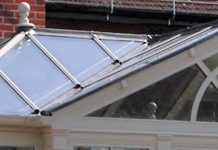 Conservatory roofs are the ones that are hit the most by the elements and take the maximum brunt of the weather. The sun, rain, snowfall and the wind all affect the conservatory roofs the most. Besides these are the most difficult to clean and maintain on your own. Considering this it is but obvious that the conservatory roofs spoil quicker than the other parts of your conservatory and might need to be repaired and replaced. Conservatories / Orangeries need to be maintained properly on a regular basis in order to maintain their charm and appeal. An annual service package ensures a dedicated service schedule for repairs and maintenance of your conservatory / orangery. Create extra space in your home that you can put to good use. A conservatory is a brilliant option to make the most of such available space. 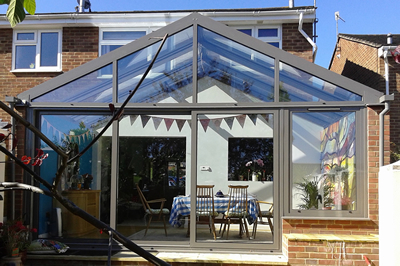 A conservatory is multi-purpose and efficient when it comes to functionality. It could be used for many uses including relaxation room, dining room, kitchen extension etc. There is nothing better than a conservatory to connect your interiors to your garden. This becomes a place in your home that is flooded with natural light and gives a good view of your outdoors.